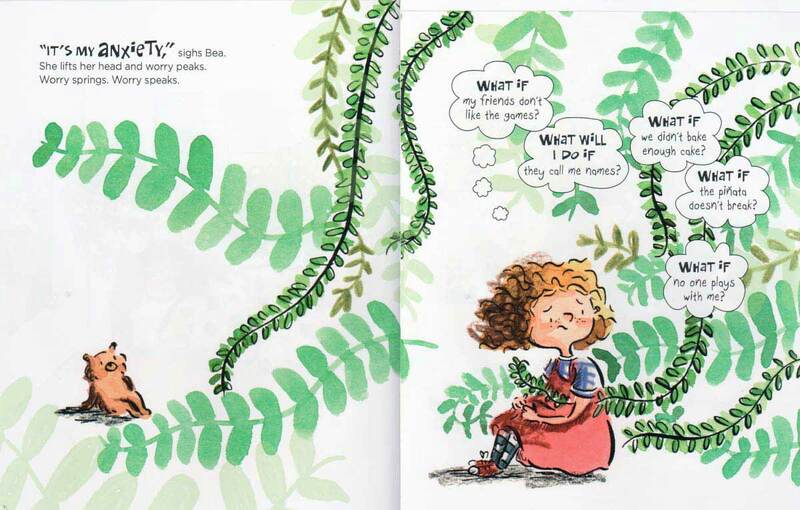 Like the fast-growing willow tree in the yard, Bea’s anxiety takes root and keeps growing and growing. 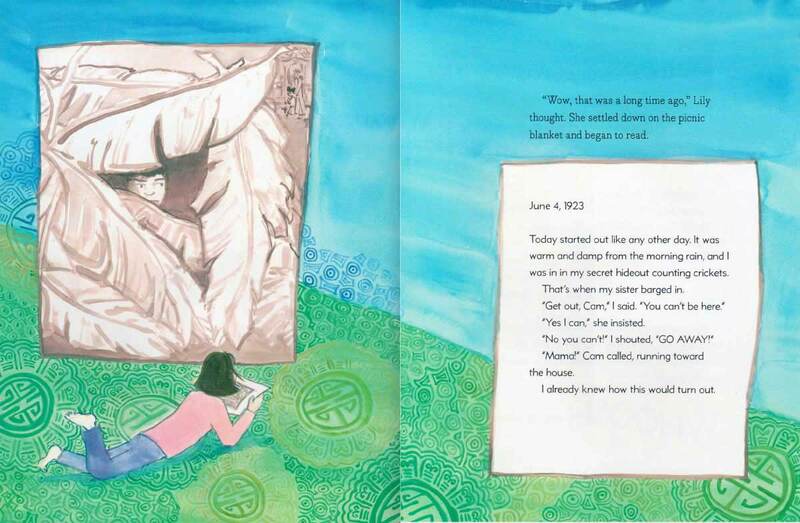 She imagines all the worst possible outcomes and doesn’t think she can go through with her party. 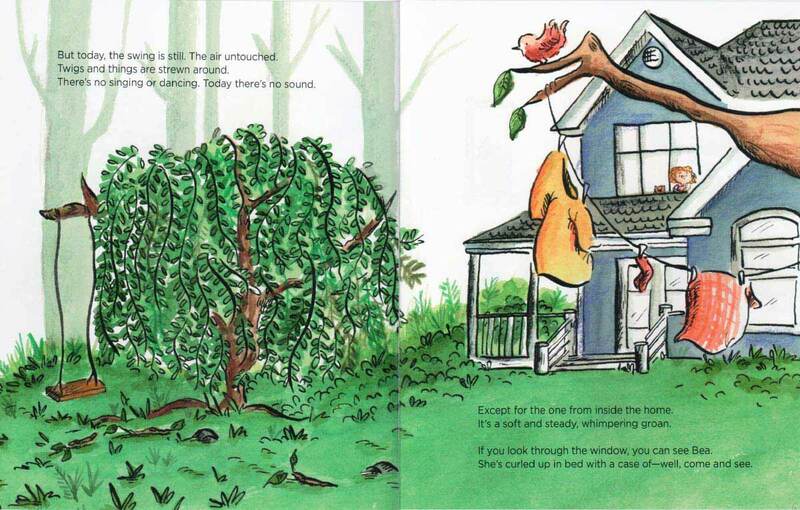 Using mindfulness techniques, she’s able to manage her anxiety in time to enjoy her party. 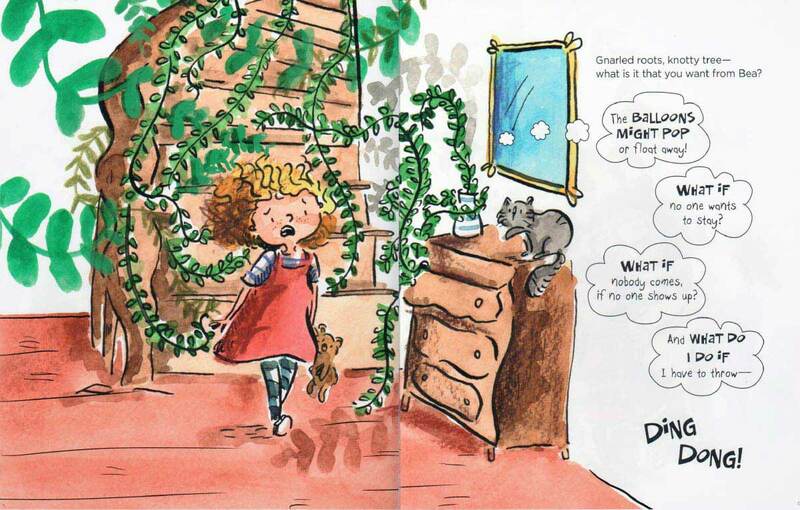 The books in this three part series from Parallax Press teach mindfulness practices to children through imaginative story based fiction. 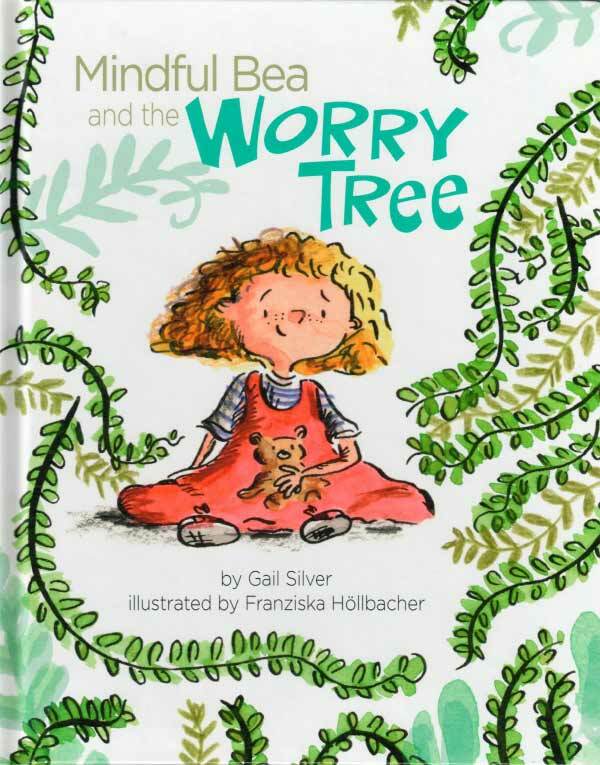 These stories have been recognized by School Library Journal, Publisher’s Weekly, The New Yorker, and have received acclaim from many others as a “must have” mindfulness books for kids that provide easy to access tools to help children navigate difficult emotions. 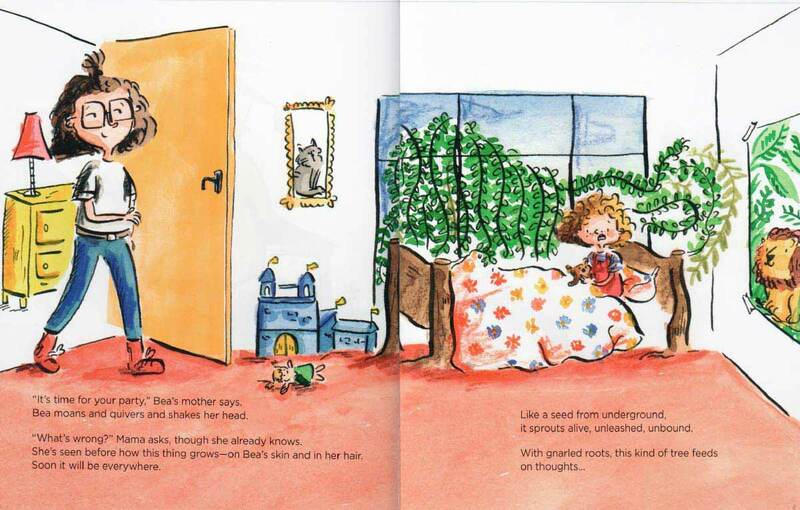 The books in this three part series teach mindfulness practices to children through imaginative story based fiction. 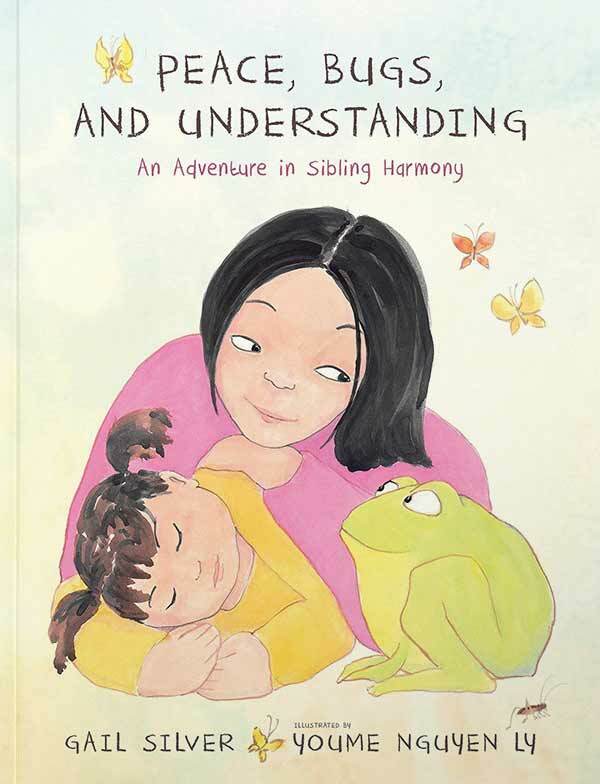 These stories have been recognized by School Library Journal, Publisher’s Weekly, The New Yorker, and have received acclaim from many others as a “must have” tool to help children navigate difficult emotions. 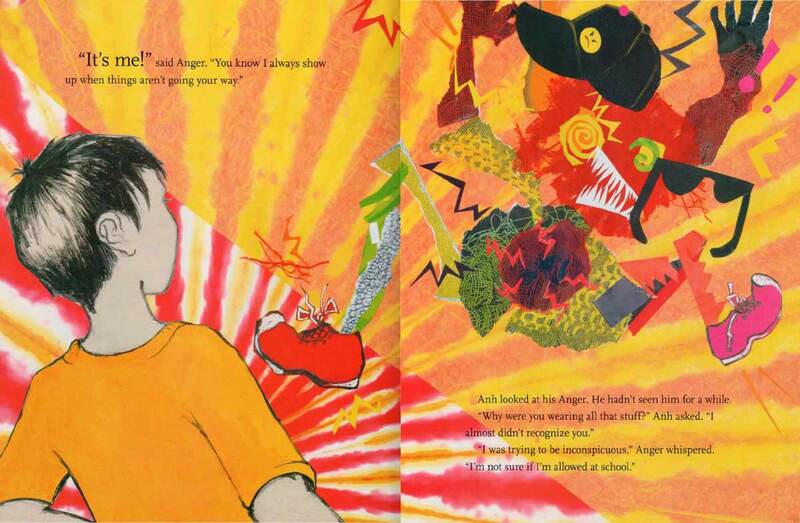 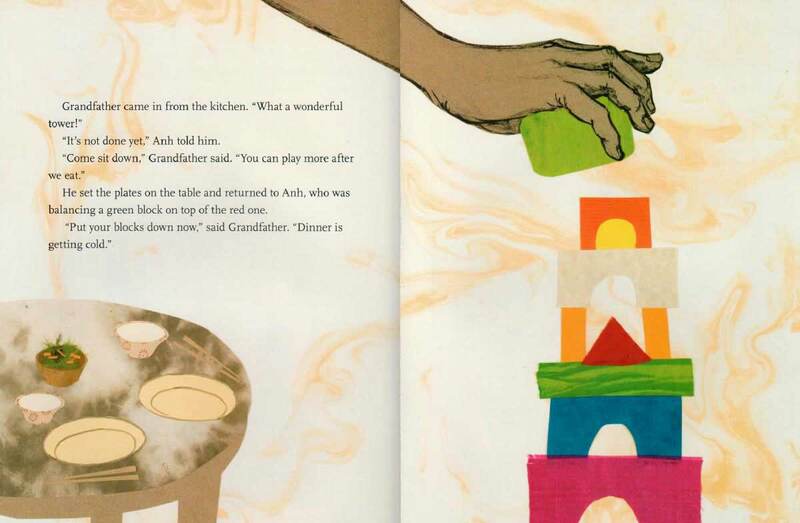 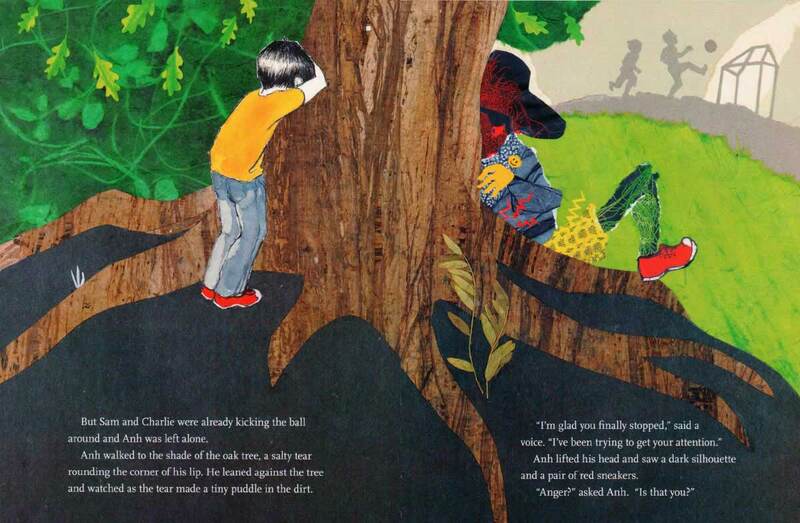 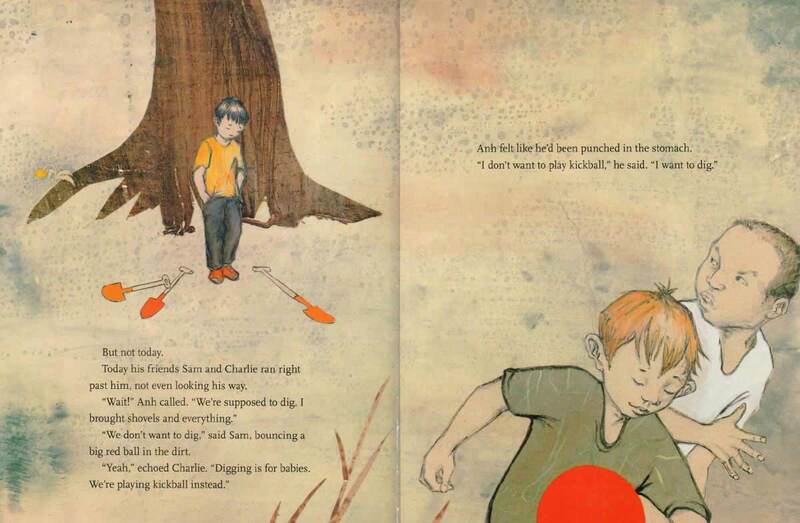 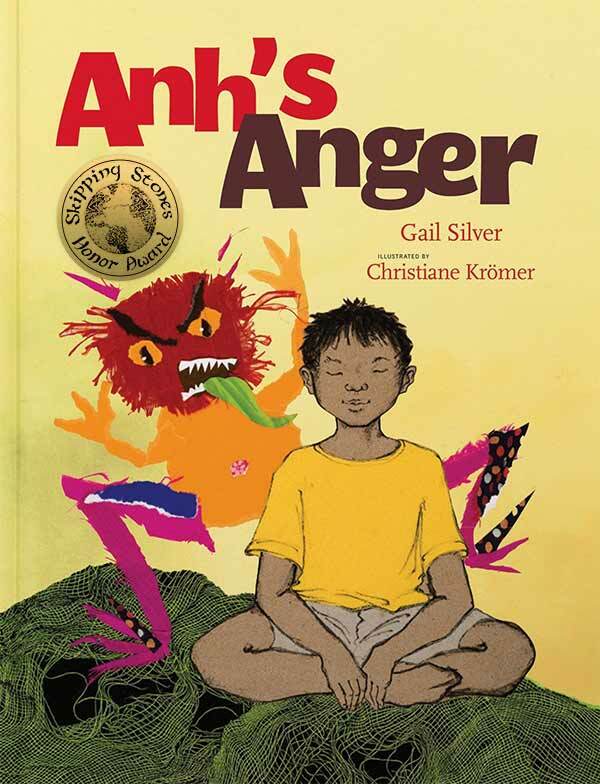 A regular contender on many “best mindfulness books for kids'” lists, Anh’s Anger engages from its opening pages, providing children and caregivers a concrete practice for dealing with anger and other difficult emotions. 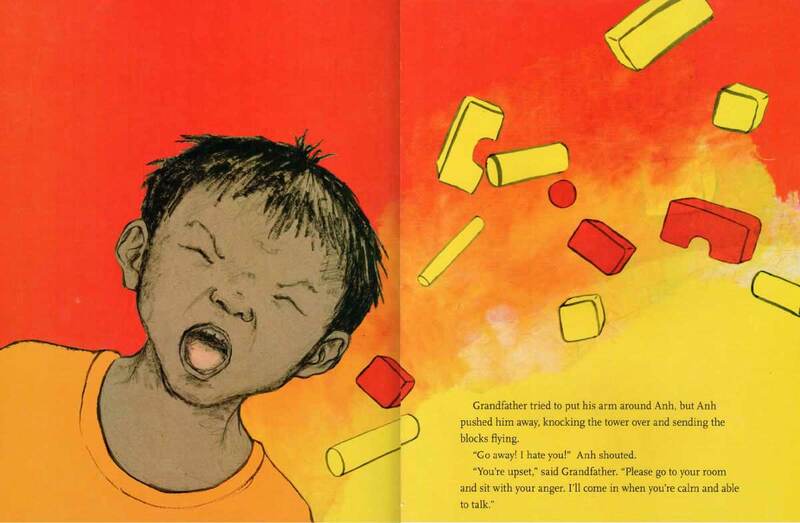 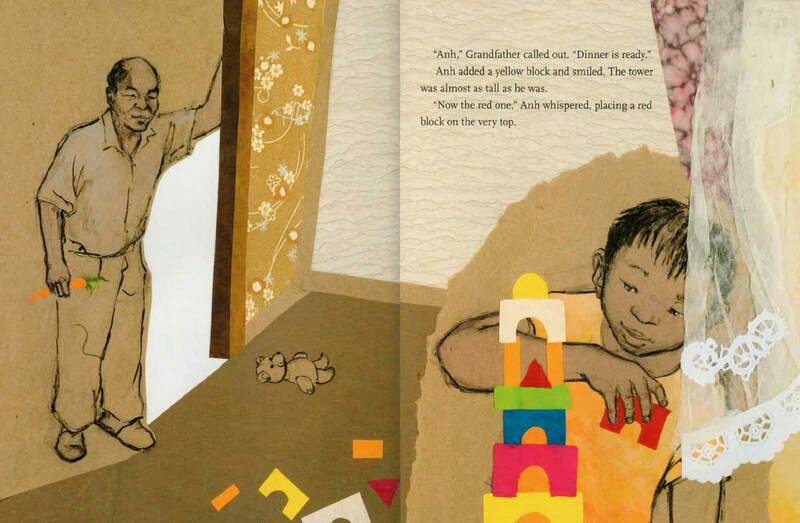 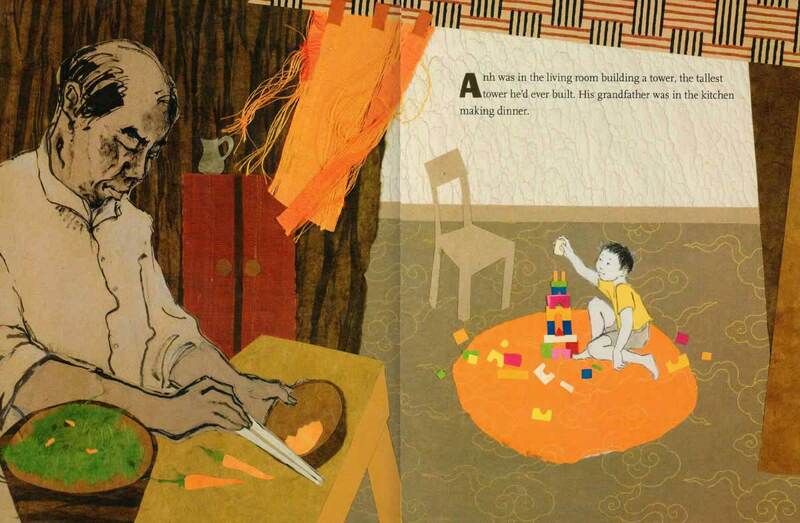 In Anh’s Anger, five-year-old Anh gets upset when his grandfather asks him to stop playing and come to the dinner table. 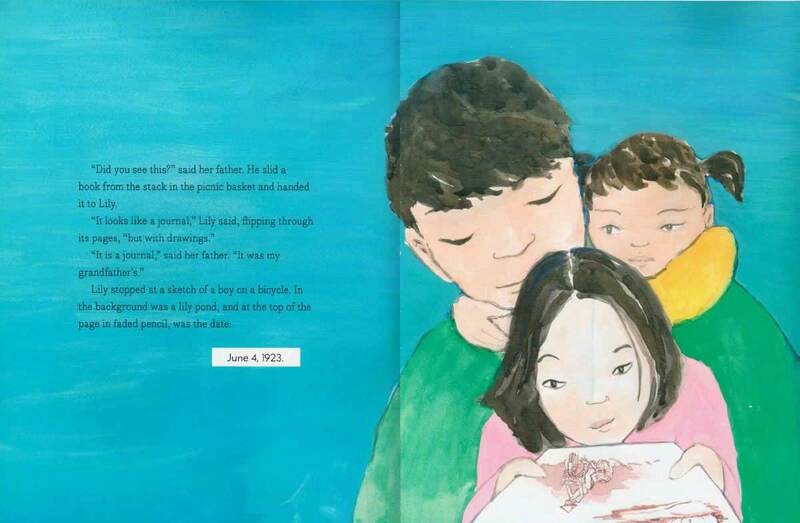 When Anh’s feelings escalate into a tantrum, Grandfather helps Anh experience his strong emotions by suggesting that he go to his room and, “sit with his anger.” The story unfolds when Anh comes to know his anger in the first person and works through his feelings with humor and honesty to find a way to constructively release his feelings. 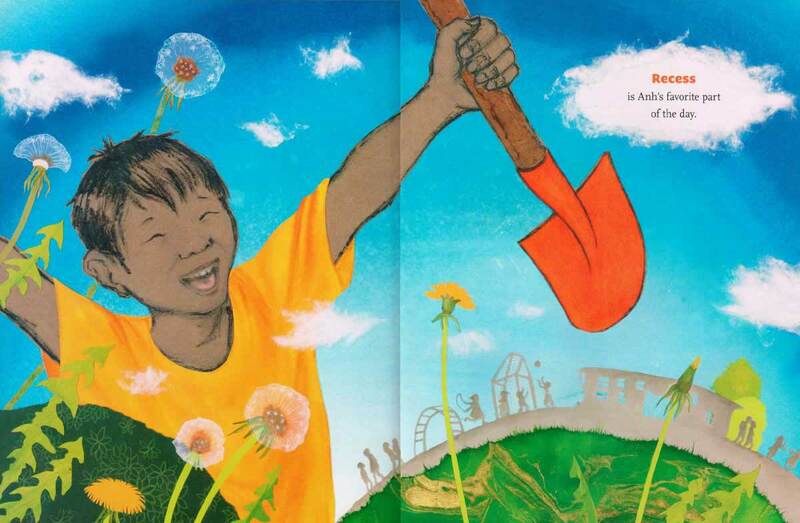 Recipient of The Skipping Stones Honor Award for Multicultural Awareness. 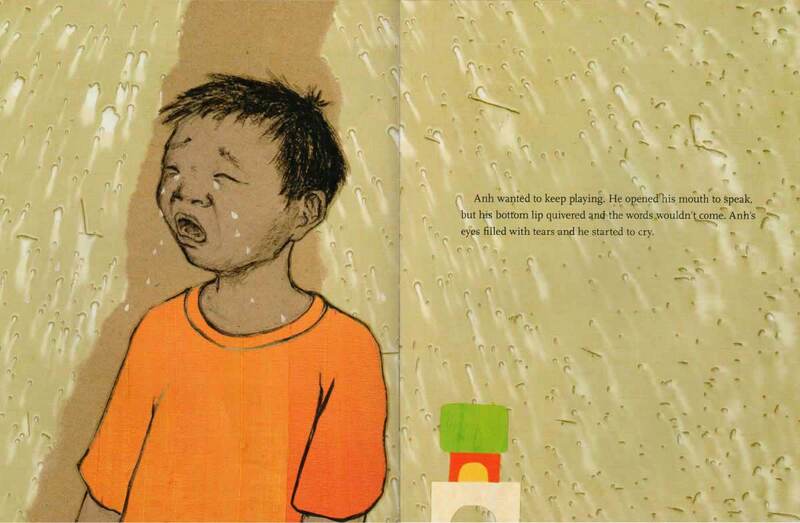 When Anh, an easy to relate to elementary school boy, is left out at recess, his anger shows up to keep him company. 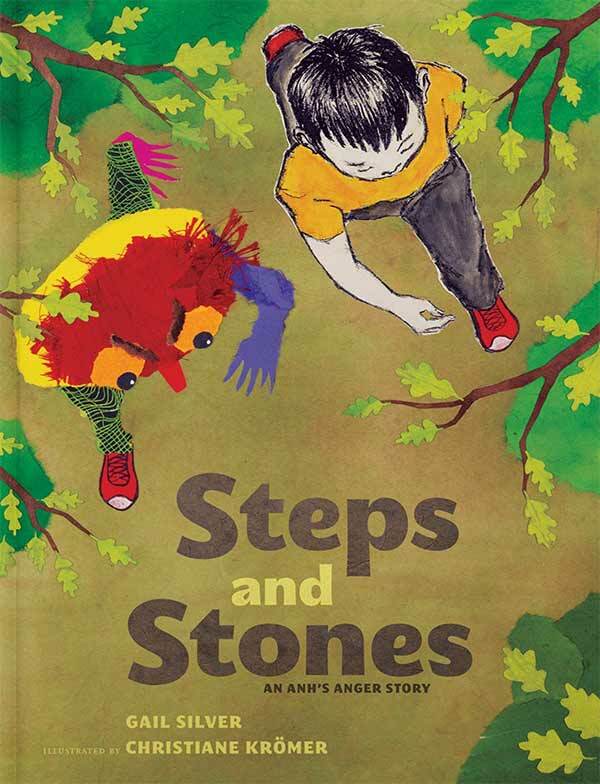 Anger, personified as a red, hairy impulsive creature, has some ideas about how to best express himself, but Anh has other ideas,and is able to slow down and take his anger for a peaceful and magically transformative walk. 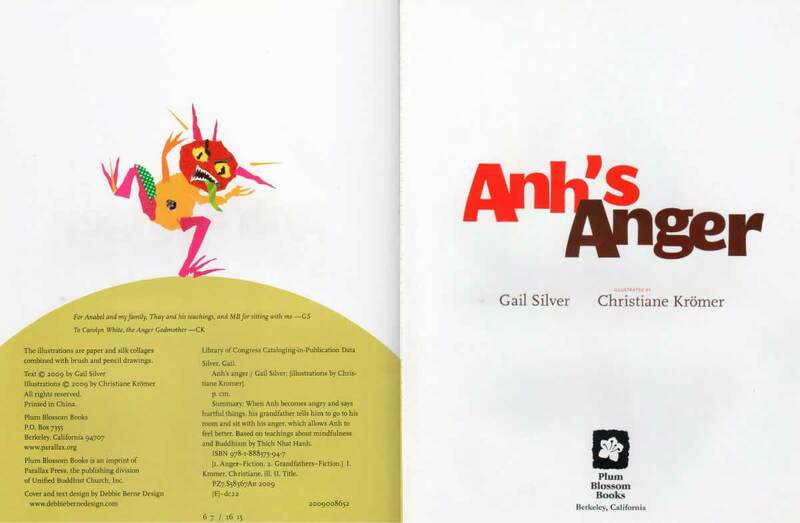 Nominee for the Bill Martin Jr. Picture Book award. 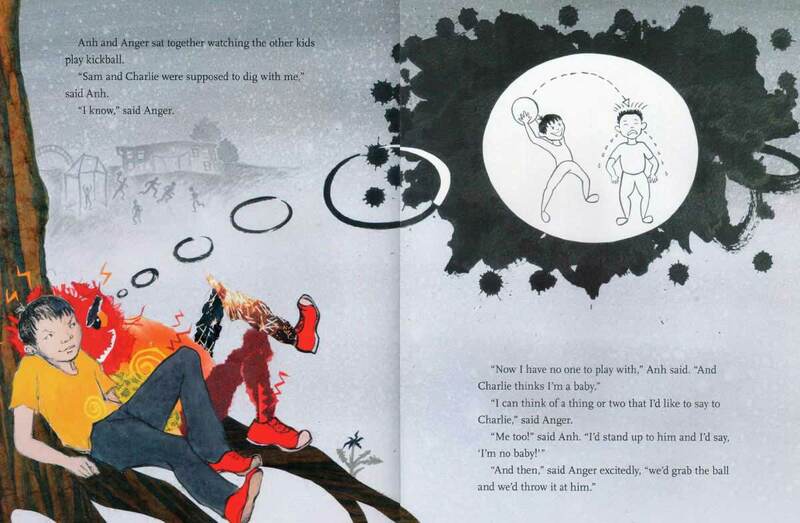 It’s not always easy having a sibling. 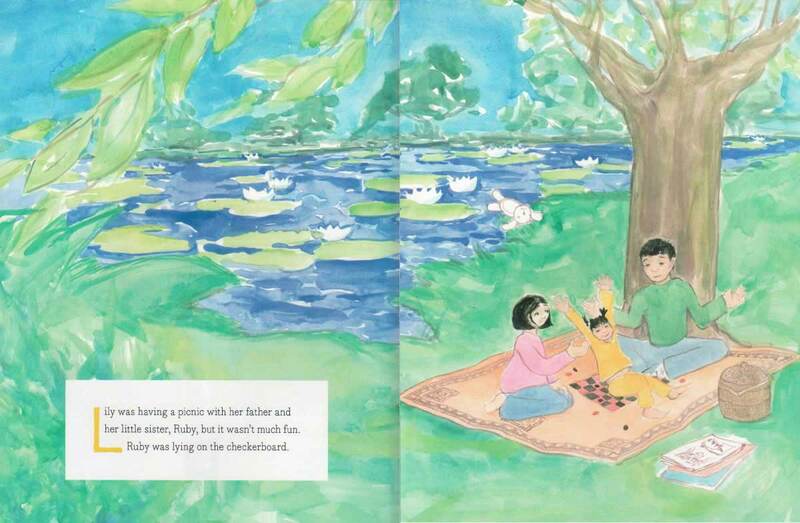 In this third installment of the Anh’s Anger series, Anh is all grown up and is enjoying a picnic with his daughters. 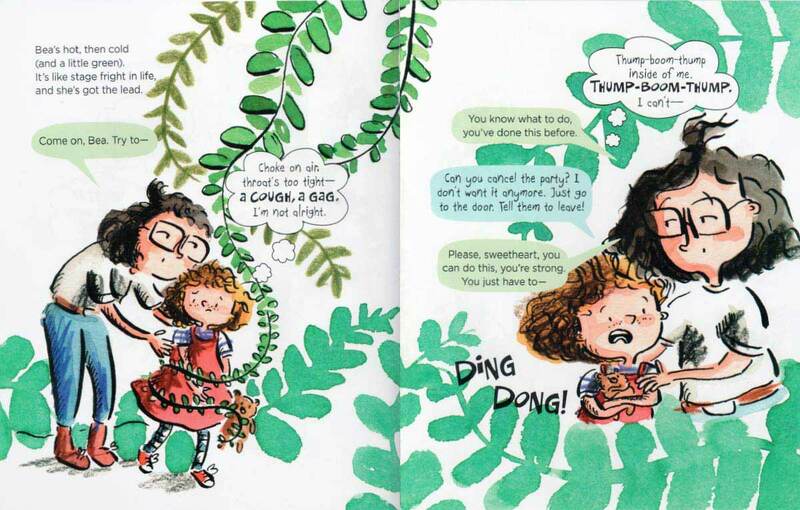 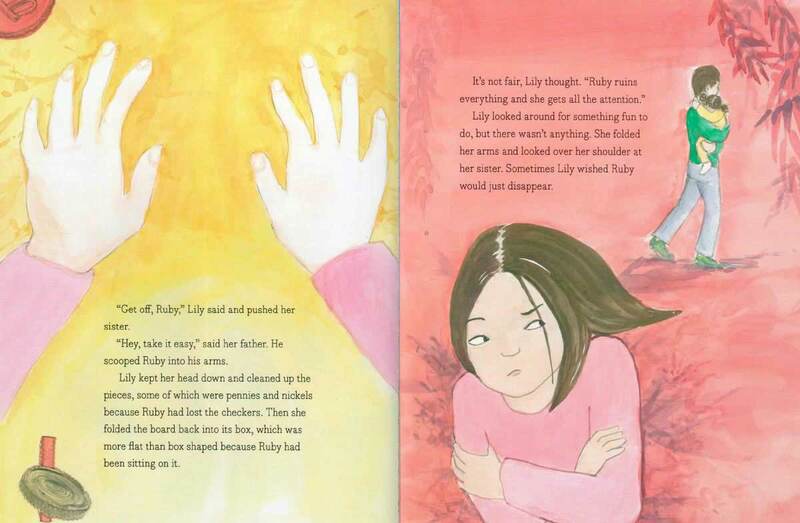 Lily, the older of the two, lashes out her younger sister, Ruby who “always ruins everything.” Thanks to some preplanning on Dad’s part, Lily gets absorbed in a wonderful book, the story of her great grandfather’s encounter with a strange looking frog-like creature called Anger. 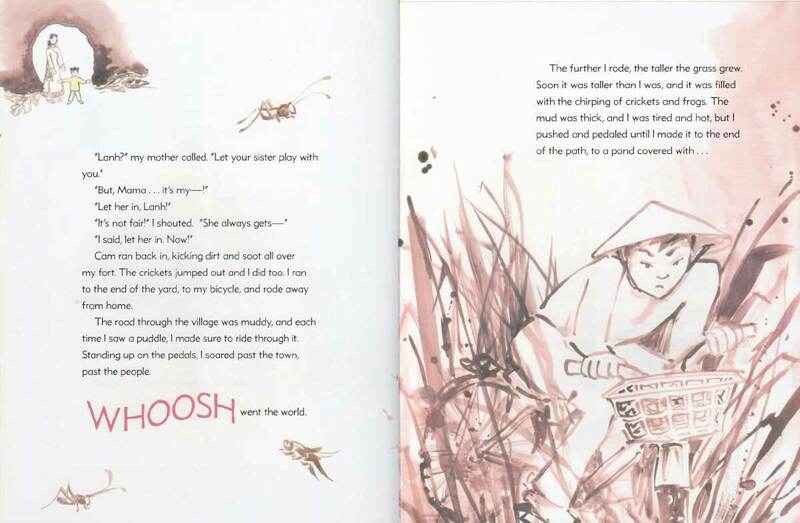 The precious old journal takes us back to the final pages of Anh’s Anger, providing a launch pad for Lily to discover Metta, a technique that has helped people transform anger into kindness for thousands of years. 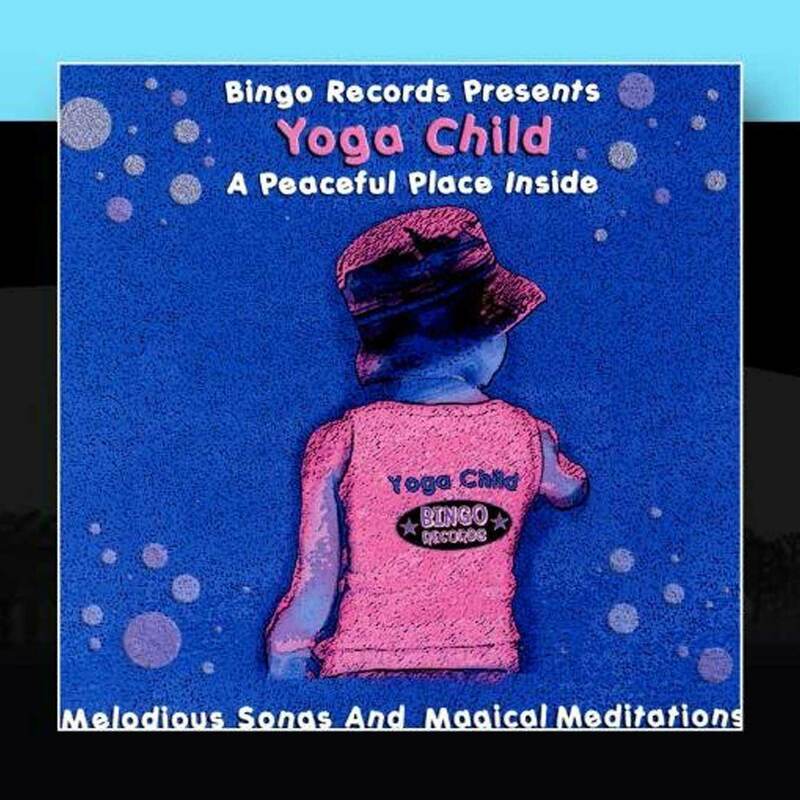 Written by Yoga Child Founder, Gail Silver and performed together with Yoga Child Staff, A Peaceful Place Inside plays like a greatest hits of Yoga Child’s magical meditations, and best yoga songs. 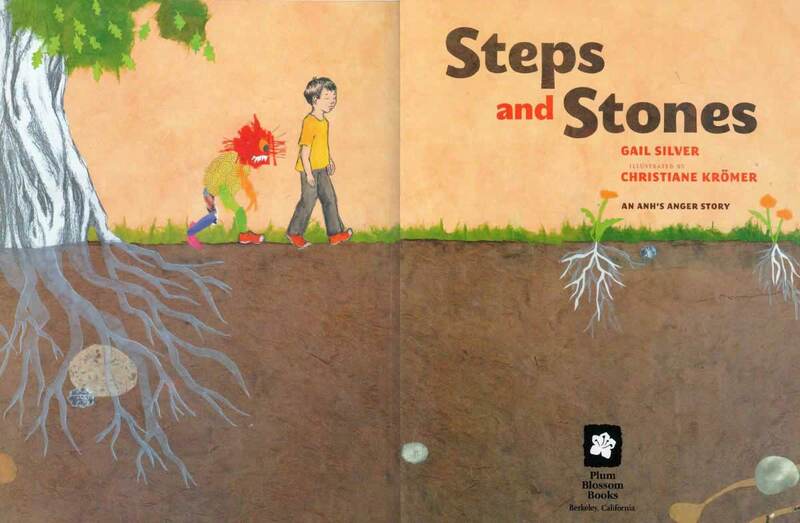 Through music and expert instruction, Gail teaches little ones how their bodies and breath can work together to calm a mood, power a train, reach outer space and grow a seed into a flower. 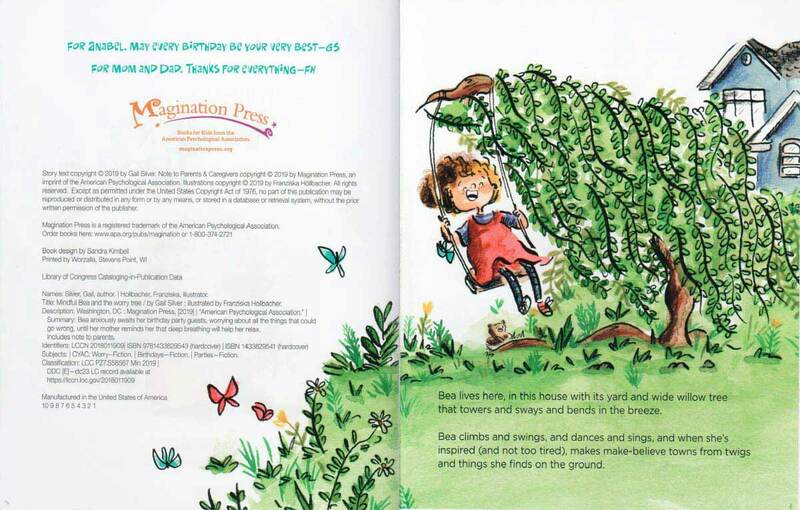 A Originally created as a teaching supplement to accompany the Yoga Child Teacher Training program, this compilation has earned some hearty awards and made its way onto some essential kid yoga play lists. 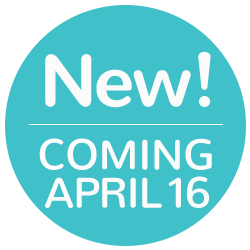 Looking for a way to engage your children digitally but mindfully? 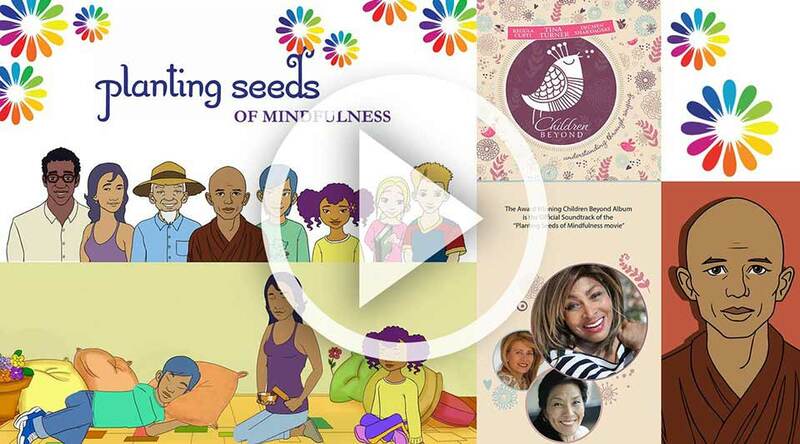 Check out the film Planting Seeds of Mindfulness, an animated, live action film based upon the teachings and practices of Thich Nhat Hanh and the plum village community. 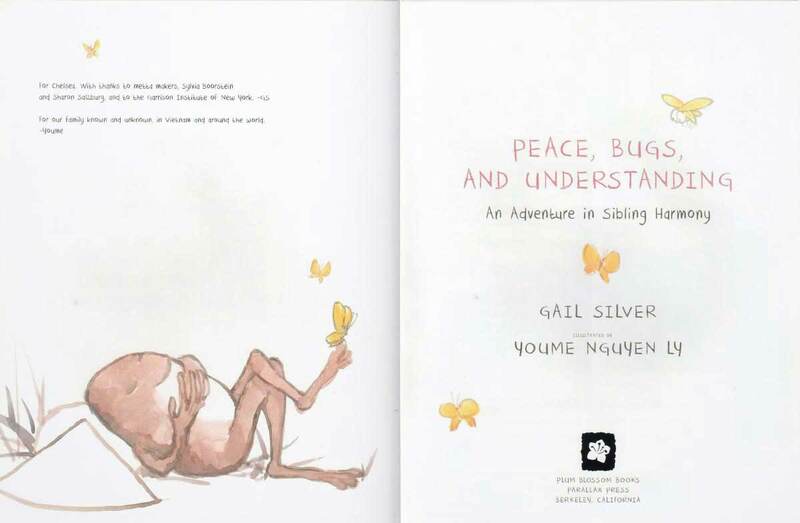 Gail was honored to collaborate with the Mindful Cloud team, to spend time with her venerable teachers and to co-write this screenplay with Iulia Jolly Socea.